6. If it’s Alright With You Baby? The KORGIS hit the big time with their worldwide Hit “Everybody’s Got To Learn Sometime” which had followed hard on the heals of their very first Hit Single “If I Had You”. 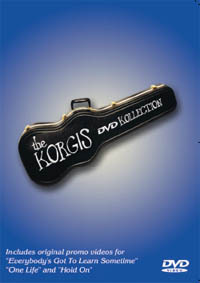 This first ever Korgis DVD is a mixture of stunning live sessions recorded in 2005 as well as original promo videos rounded of with interviews with all band members to create the “Off The Leash” Korgis documentary which delves into membership of Stackridge as well as Andy’s time with Tears For Fears, James recording session at Abbey Road with George Martin and John’s performance on the Tears For Fears album “Elemental”. ...What stands out is just how talented the trio are as they swop songs around and perform a devastatingly simple set...They are superb songwriters with a knack for capturing the spirit of the three minute single and the wealth of material on display proves that they should really have had a higher profile. ...by simply unplugging their guitars and creating sumptuous new arrangements, The Korgis breathe new life into these golden numbers, until it’s amazing just how fresh they all now sound, as the duo and a guesting John Baker astutely bring out each song's inherent magic, highlighting its mood, melody, and lyrical strength. 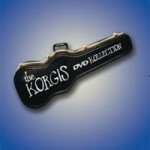 So, although it may look like just another a Best Of package, Unplugged actually walks the Korgis to brand new heights. A must for all fans.